Ok, I admit it. Last week I was a slight dessert tease at work. I had planned to make some kind of strawberry dessert for me and my coworker on night shift last week – I even double checked that he wasn’t allergic to strawberries. But then I was too tired and didn’t follow through (he was mildly disappointed, but understanding). But I still had a ton of strawberries in my apartment when the weekend rolled around. 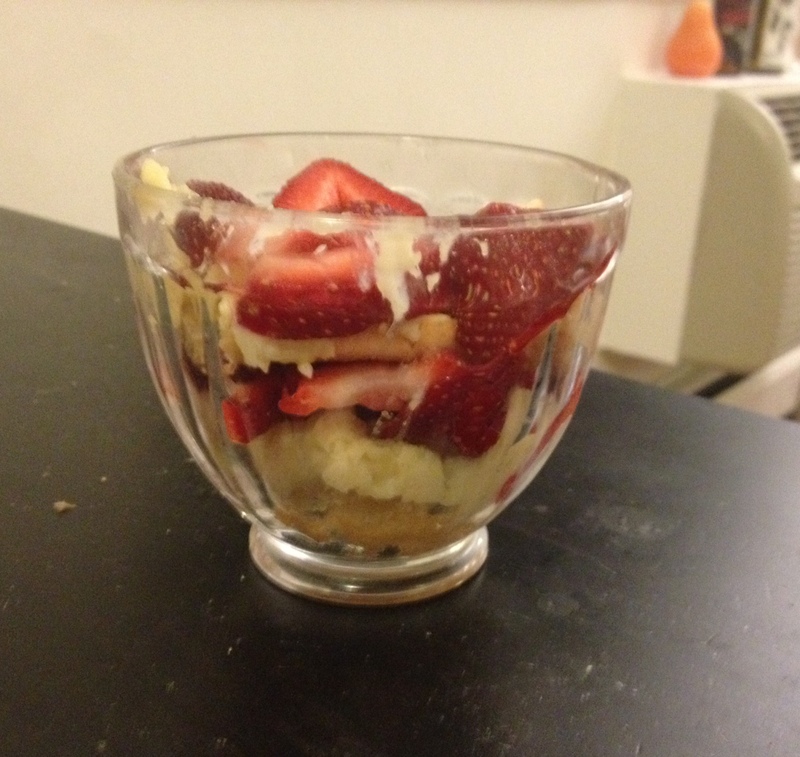 So I decided to make little strawberry trifles, although I still made them just for myself. Beat 1 egg (in theory you are supposed to beat it for 5 minutes or till it gets thick – I declare this to be absurd). Then mix in the sugar, then the water and vanilla. Add the dry ingredients. Pour into an 8X8 pan (greased and floured of course) and bake at 375 for 12-15 minutes (or until its springy when you touch it). Let it cool. In a smallish glass bowl (I use these adorable ice cream bowls) stick a piece of the sponge cake. Pour maybe a tablespoon of chambord over it. Add a layer of pastry cream, then strawberries. Then more sponge cake/chambord, pastry cream, and strawberries. Stick it in the fridge, covered, for a bit to let the whole thing settle. Then enjoy! This was really good, especially for a nice summer dessert. It’s a bit time consuming, particularly compared to opening a thing of ice cream, but worth doing every now and then. My only slight issue with it is that the pastry cream is a little to thick for this. I’m not sure how to make it less so for the future – less flour probably? Song of the Week: Tchaikovsky’s Symphony Number 5. I had a rough couple of days and no one does pathos quite like the Russians in my opinion. I will impulsively buy things at the grocery store, and deal with coming up with how to use them effectively much later. 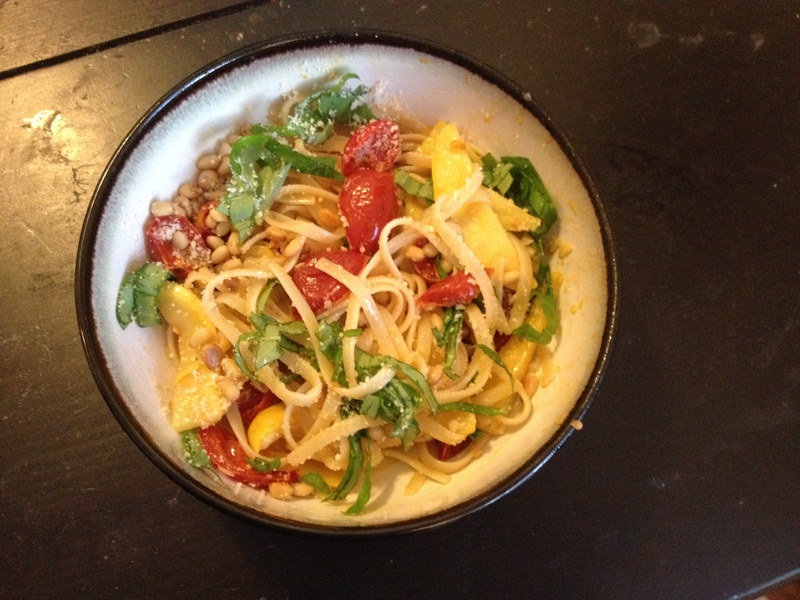 This week, the impulse buy was yellow squash – which I figured would be easy enough to use. 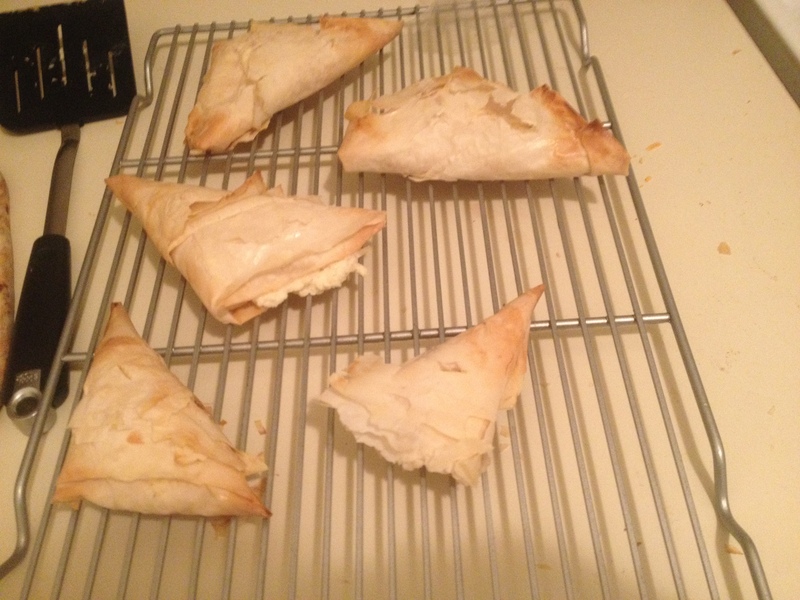 I contemplated making Mexican tartlets, which I’ve made before, but then my brain began to play with the general idea. I came up with turning the tartlet concept into a sort of pizza-type thing, which I am calling Mexican pizza (although admittedly it is neither really Mexican nor pizza, ah well). Stick the onions, garlic, and corn in a bowl. Add a tablespoon of olive oil and the cumin and coat the veggies so they are all coated. Roll out the masa harina dough either into a large pizza, or two little ones. 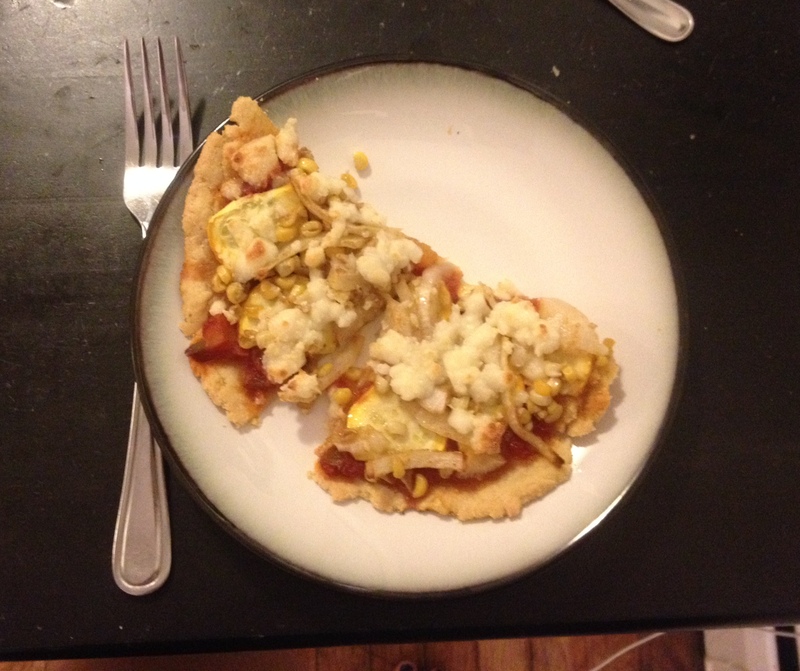 Spoon a layer of salsa over the dough, then add the squash slices. Spoon the corn-onion mixture over the squash, then add the crumbled cheese on top. Bake the pizza for 30 minutes at 375. Serve warm. Ok, I’ve made a lot of Mexican-fusion type recipes in my day, and all of them were good. But this was just incredibly delicious. It’s very much a summer recipe. I generally go with beer for Mexican food, a wheat beer or a Hefeweizen works best, although this recipe isn’t spicy. I’m sure if you want, you can add chopped cilantro to the pizza once you pull it out of the oven, or additional spices when you add the cumin to the onion-corn mixture. Song of the week: If I Needed Someone by the Beatles. Rubber Soul is the second-best Beatles album (Revolver is the best) and this is just such a good song. Lesser-known Beatles songs are still better than 80% of all music.